Overcoming barriers to healthy living is no easy task in a place as rural and remote as Standing Rock - but it can be done. 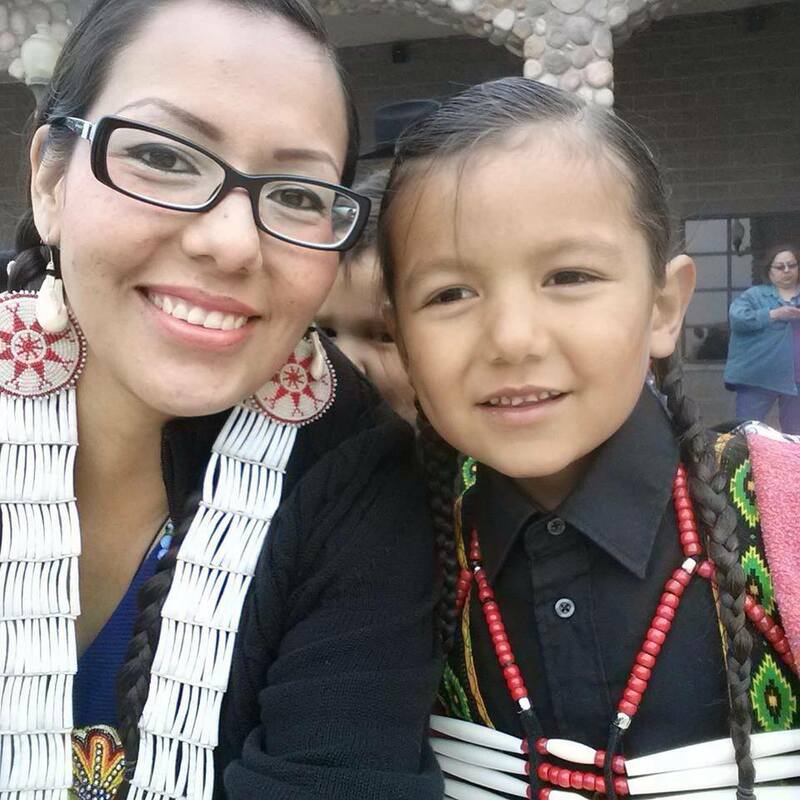 Tipiziwin Tolman shares an inspiring story of healing as she walks her wellness path alongside her family, her community, and the Lakota language immersion school where she teaches. Tipiziwin Tolman is passionate about revitalizing the Lakota language and improving the health and wellbeing of her family and community. Photo courtesy The Creative Treatment. Tipi Tolman is a Lakhota language educator, wife, mother, and passionate cultural revitalization advocate from Standing Rock. In recent years, Tipi and her family have worked together to make some big changes to improve the health of their household. Read this interview to find out more about the challenges and achievements that Tipi and her family have BEEN THROUGH on their wellness journey in the rural great plains, and how indigenous language revitalization is intrinsically tied to improvement of family and community health for Native people. Tipi’s 13-year-old son was formerly on his way to onset juvenile diabetes, but by cutting out sugary drinks and minimizing processed foods, he has lost 50 lbs and has successfully avoided these health risks. WFC: Hello, Tipi! Feel free to introduce yourself. TIPI: My name is Tipiziwin (Yellow Lodge Woman) Tolman. My maiden name is Young. I am the youngest daughter of Phyllis and Pepper Young. I am Wichiyena Dakhota and Hunkpapha Lakhota from Standing Rock. I come from the Skunk, Pretends Eagle, and Yellow Lodge tiospaye of Standing Rock and the Young tiospaye from Spirit Lake. WFC: Tell us about your work - we are big fans. TIPI: My husband and myself both work at the Lakota Language Immersion school located on the Sitting Bull College campus in Fort Yates, ND. 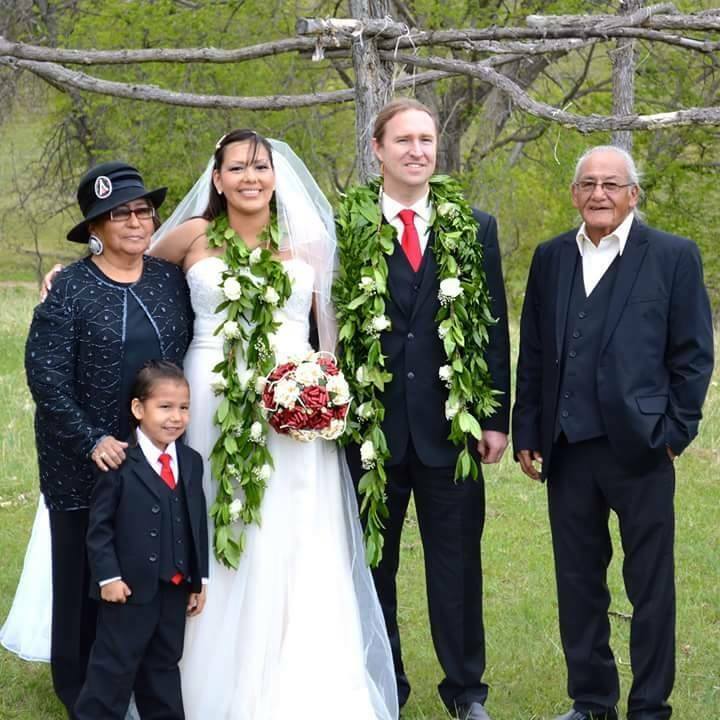 I am the lead Lakota language activities instructor in the Lakholiyapi Wahohpi preschool room and my husband is the primary Lakota language instructor of the Wichakini Owayawa K-2 combined classroom. We are both paired with first language fluent speakers of Lakota in both of our classrooms. We are given the great undertaking in guiding our students in the Lakota language in a quality educationally and culturally relevant early childhood learning space. We absolutely love our jobs despite the challenges and obstacles. See Tipi at work in this fundraising video for the Lakota Language Immersion School. Video courtesy: The Creative Treatment. WFC: What are you passionate about? TIPI: I am passionate about my Lakhota and Dakhota language, my family, my children, my home and the early childhood education field, I believe working with young children in language is where real positive change can happen for homes and for our communities. WFC: Thank you for the work that you and your colleagues are doing! There is plenty of research to prove that the theft of our Native languages has been a massively destructive force to our people in countless ways. On the bright side, we also know that indigenous language revitalization efforts are influencing major holistic health improvements in our communities and creating more promising futures for Native children and families. From your firsthand perspective and experience, please shed some light on how health and language are related. TIPI: The current state of our communities’ health is directly linked to the state of deterioration that our language is in. Many generations of our Lakota people, although raised right here in our ancestral homelands, are essentially outsiders, in our own communities’ spaces, our own prayer spaces, without our language. We have become excluded outsiders (even though we are Lakota in our Lakota homelands) without our language. And so the relearning, the reclaiming and the revitalization of our language is our journey home into the arms of our grandmothers, grandfathers, and all our ancestors where we may have access to the health, the healing and the happiness that our language offers. In the past ten years, I have been learning about what valuing and learning our tribal language can do for our personal, emotional and spiritual health. Working within Standing Rock’s various tribal language revitalization initiatives I have seen firsthand how the language nourishes individuals and families to a higher level of health and in turn the collective health of our communities are being elevated. For our language honoring families, language has been the catalyst for healthier homes, in terms of a higher quality of parental engagement in their children’s education and development. It is truly amazing and such a huge honor to be a witness to the revitalization of our language through our children and all the positive things that we continue to experience as we move forward in reclaiming our language for the future generations. The Tolmans are partners in life and work. Photo courtesy Lakota Language Consortium. WFC: Describe some of the struggles that you have been through regarding access (or lack thereof) to healthy foods and information about healthy eating. TIPI: Initially, I believe I was uninformed - totally in the dark - about what certain additives, ingredients, and chemicals were and how they affected me, and after I had children, how they affected my children. When I became an adult, and a relatively young mother, I made the majority of our food choices out of convenience. We ate lots of microwaveable foods, lots of chips, processed meats, sugary drinks, such as strawberry or chocolate milk or sweet tea, and mistakenly believed that it wasn’t pop so it wasn’t too bad for my children. All of these poor food choices were cheaper than buying fresh fruits or vegetables. We live in a very rural area and the one grocery store is really the only choice that I have unless I want to drive 70 miles north or south to Mobridge, SD or Mandan, ND. So access to a variety of affordable healthy foods is something that just does not exist in our world. I want to share that I was raised with some restrictions growing up, for example, during our childhood, our mother did not allow us to have sugar, or salt, ketchup or sweetened cereals. We ate lots of vegetables and fruits. So I am blessed in that I was provided an example that I can set healthy boundaries for my children. This is something that I have drawn on as I have become more informed and as I grow older and continue to learn more about how food choices affect our world. WFC: We know that you have made some big healthy changes in the past few years regarding healthier food for your family. What kinds of changes have you made; what motivated you to do so; and what was your support system along the way? TIPI: There was definitely a growing awareness of how certain foods and especially sugar affected the students I worked with. And I also have a number of food allergies that are progressively worsening as I age. My husband as well, has a gamut of food allergies. By far he has been my greatest teacher when it comes to food awareness and healthier food choices. When I married him, I had to become cognizant of the kinds of foods I was eating and cooking. My husband previously worked as a counselor and teacher at a juvenile psychiatric rehabilitation facility and the children he worked with were required to be on a specific nutritionally balanced diet. He encouraged me to learn more about how certain additives, dyes, and chemicals effect childrens' development. It has been a huge learning journey. My husband also drinks a huge amount of water and he prays with his water, every day. Again, he would encourage me to inform myself (“Google it!”) about the benefits of drinking more water. I can honestly say that in the past three years I have drank more water on a daily basis than I ever have in my whole life. It makes me proud to know that our little family is walking our talk when it comes to our Lakota prayer, “Mni Wichoni”, water is the integral part of every Lakota ceremony and gathering and now in our family and home. It has been a little over three years of only drinking water, no sugary drinks and limited junk food in our home. We have serious food rules and boundaries for our children in our home, we have the simple rule, “real food, before junk food” – We also only eat during meals, where we all sit and eat together, all which begins with prayer, they are not allowed to snack when they are bored and the food never leaves the kitchen and dining area. We do our best to provide an ample amount of fruits and vegetables for every meal. With our healthier and more informed rules in place, my oldest son, who is now thirteen, lost 48 pounds in the last two years alone. Previously he struggled with the possibility of the onset of juvenile diabetes and all the health risks associated with that disease. By far, seeing my children healthier, happier and more confident in their own bodies is the best part of this learning journey. Tipi and family are Well For Culture, Well For Lakota Language, and Well For One Another. WFC: A you seen any differences in your children’s cognitive abilities or behavior since you minimized their sugar intake? Any other unexpected changes? TIPI: I have seen my six year old son’s hair grow longer and thicker in these past three years. Also his behavior and his ability to make good choices drastically improves when we limit sugar. My daughter, who is eleven years old, makes better and more sound choices when she abstains from sugar as well. I also see similar effects regarding sugar in my students. WFC: What advice would you give to mothers or parents out there who are hoping to make healthy changes in their households? TIPI: It is a definite challenge to limit my children's sugar and junk food intake in other spaces other than our home, sometimes at relatives’ homes, our rules are seen as “mean” or “unfair”, we also have specific food protocols in our culture which sometimes go directly against our family expectations, but we face all our challenges with the knowledge that our goal is ultimately the most important and that is, the health of our children. Also at times it is so tough on the heart, or I feel “bad” for not allowing the children to partake in an excess of sugar in spaces where it is available. Again, the challenges are when we are in spaces other than our home to maintain our rules and restrictions in a respectful manner. We do our best and know it is worth it. I also have moments as a mother when I question, why didn’t I do these things before or earlier or I am ashamed of the poor quality of health I was showing my children in the past, but I am continually learning more and more about taking my role as the navigator of my children to become quality citizens of our family and home, of our Lakota people, of our community and of our world, more seriously. And I believe that on this journey, we are continually learning and doing better. The most rewarding moments are seeing my children be proud and confident and happy. My oldest son, my chaske, Wanapheya was praised recently by his doctor for his weight loss, the doctor literally hugged him and told him she was so proud of him. The smile on his face was amazing to see. There are many times, in the past couple of months, were our relatives see him and are surprised, or don’t even recognize him. He loves is and we love it, we are so happy for him. Also his dentist recently praised him for his “outstanding” oral health and not having one single cavity, she shared with him how rare that is and encouraged him to keep it up. These moments make it worth it, and serve as a reinforcement to maintain our vision to health. To see my son stand taller and straighter, equipped with knowledge, health, and confidence is just the best and words fail to encapsulate how my heart fills with pride and happiness for him. We are so proud of him. Tipi and one of her idols, Olympic champion from the Oglala Lakota nation, Billy Mills. WFC: At Well For Culture, we are big proponents of living sober lifestyles, as we have seen so many positive changes after becoming drug and alcohol free. How does sobriety impact the health of your household? TIPI: My husband has never drank alcohol or used or tried any drugs. But as for myself, I used and abused both when I was younger. I tried to deal with grief and some life challenges by self-medicating. The real catalyst for me into my sobriety has been my job and my role in reclaiming the Lakota language for my communities’ children. Before I had my children and before I had my language, I didn’t take this life seriously. I didn’t honor this one life that Creator gave me. This is one of the lessons I have learned on the journey, how to truly honor this life. All honor and praise goes to Creator and absolutely, this beautiful life could not be possible without sobriety. Sobriety is the key element in why we are able to have positive blessings, like careers that we love and that directly raise the health for our homelands, beautiful children, a loving and committed partnership and a close relationship with Creator, a safe and beautiful home full of prayer, that my children can be proud of. All of these things would not be possible without a full commitment to sobriety. My middle son, Wigiiyaothi, said in the past, as he was going to sleep, “ina (mom), in our home, there are no drugs, alcohol, zombies, or bad spirits, only good is allowed here.” And he is right, no matter what, it is never too late to learn a better way of being, especially when it comes to your children. WFC: Thank you for sharing your wellness journey with us! You have been so informative and such an inspiration. Keep it up! Older PostTalking Movement on "Native America Calling"